Looking for an auto transport company in the Portland area? You have come to the right place! 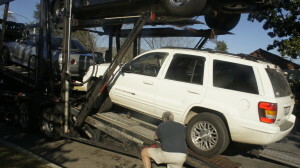 Portland Car Transport can provide car shipping services for you nationwide – to or from Portland. We can help you no matter what your circumstances are. Have you purchased a car in another state and need it shipped to you? Are you relocating your business and need your commercial vehicles moved? Portland Car Transport can make all these processes stress-free! We do our best to provide great shipping services at an affordable cost. If you receive a quote from another auto transport agency, bring it to us! We will do our best to beat the price. Read more about our quotes or fill out a form to receive one today! We look forward to working with you at Portland Car Transport.